For example, according to a Harvard study, men with gun disease are 63% more likely to develop pancreatic cancer. That is such an alarming percentage, yet we rarely ever hear statistics like these when we hear about cancer. But our guest today is going to help get the message out about the importance of dental health and how it can affect the entire body. Join us as we speak with Dr. Anthony Adams about mercury fillings, fluoride, and tooth meridians. Welcome everyone and thank you so much for joining us for this episode of Health Talk by Doctors Health Press. My name is Sara Cownley, nutritional therapist and the host to help guide you through the show here at Health Talk. We aim to bring you varied and well informed guests who really have the knowledge and information that we know our listeners want to hear. Being able to enjoy life means really living the healthiest life possible and we aim to bring you the discussions that can help you in your family, overcome any health issues that might arise. And our goal at doctors’ health press.com is to provide our readers with the most current and up to date health news, breakthroughs in advice really with a particular focus on natural and alternative health advice. Our mission is to armor readers with the knowledge to make informed decisions on their health well, cutting through all the clutter of the mainstream media and health establishment from a group of doctors and health experts that you can really trust. So after the show, be sure to click over to doctorshealthpress.com to sign up for our daily eletter. This will really help keep you up to date on all the health news that you and your family need to know. So getting back to our show here today, we’re going to be speaking about a subject that sometimes gets overlooked when we think about our health. Many people tend to visit a dentist, typical and get their teeth cleaned, but they don’t really know how it truly affects their overall health. Poor oral health can contribute to poor total body health and has even been called a cause for heart disease, diabetes, and even cancer. For example, according to a Harvard study, men with gum disease are 63% more likely to develop pancreatic cancer. Now, this is such an alarming percentage, yet we rarely ever hear statistics like these when we hear about cancer, but our guest today is going to help get the message out about the importance of dental health and how it can really affect the entire body. So, Dr Adams is a general dentist and healthy body dental in Clearwater, Florida, practicing a more natural and holistic approach to dentistry, not only as a mercury free dentist, but also as a mercury safe dentist. His belief is it more of a natural and minimally invasive approach to healing. He emphasizes the physiologic relationship between oral health and total body health. Dr Adams has really been a visionary in dentistry, is practice interests to positioned him ahead of his peers as he utilizes new and old technologies really much before the blend really became common. Now at his practice healthy body dental. He offers care that supports the health of your other body functions, including heart cancer, arthritis, and inflammatory diseases. He truly believes that your overall wellness is affected by your oral health. So Dr Adams, welcome to the show and thank you so much for taking the time to join us today. Thank you Sarah. I appreciate your interest in helping other people. That’s what we’re here for. So honored. Thank you. Now Dr Adams, the question that I’d like to start out with is, have you always used a holistic approach to dentistry or was this something that may evolved in your practice over time? It definitely has evolved over time. I was always interested in when I was way back in dental school on the whole body and I couldn’t separate what I would see for a total body health and disease state and that in the mouth and so in the last 10 years or so, I think just come to the forefront for a lot of people now. There’s people doing holistic and biological dentistry that had been doing it for 25, 30 years, but they’re just not many and it’s more of a philosophy than anything. I think I get people asking me, are you a biological dentists now? Say, well, what’s that mean to you can, because we’re all in a state of learning and the more it seems like the more I do this, the more I learn, the less I know because there’s so much to know. So I have evolved in the practice. I don’t find fault with conventional dentistry. If that, I mean there’s only a few, to do what we’re doing, and so I just hope that in the future more and more we’ll understand the connection. So let’s get into the questions. The first one that I know a lot of people want to know about is fluoride. There’s been so many people speaking out against it in the news recently. And so what are your feelings on using fluoride in dentistry? Well, let me tell you, the standard among the dental establishment. Fluoride is a great gift to mankind. And in there they’re believed that it reduces the amount of decay, particularly in children. And, it’s a good thing and there’s different ways to look at it for it. I’m looking at this establishment view then the controversial is why are we even using fluoride? Because there are, there are populations on the planet that don’t use Florida and have no decay. So fluoride, is that really the answer? We know that fluoride is a, is a toxin. So we say if it’s a small amount of fluoride, it doesn’t hurt you, but how much of a poison or toxin would you want before you say it’s okay? I am going to comment, will have to be whether you on fluoride, whether you use it topically, which means it’s applied to the, to the designated area or whether you use it systemically. And that would be the argument or the controversy. Fluoride and our drinking water. I’ll make a comment first about that. I. I have a problem accepting a mandated distribution of a drug or a chemical. The people without knowing their body size and an age and other situations. And yet when we use fluoride in the drinking water, you might be someone who’s 300 pounds ranking some and it might be someone who’s 100 pounds. Oh, how do you know the dosage? And so I have a problem with that, aside from many other ways, but the American dental association endorses fluoridation of water and it has for a great number of years and consider it a win when they can get it into an unflawed community of the topical use of fluoride, like in cleaning, prophy paste, when we clean teeth, that’s a different situation or a topical meaning in toothpaste. That’s a topical application. And my thoughts on that isn’t so much what it does there. But why are we using it at all? I mean, what are we trying to accomplish? Are we trying to accomplish the soft tissue that’s free of bacteria? We trying to accomplish a impermeable surface on the tooth? What are we trying to accomplish? I think there’s much more natural ways if we change the environment that the disease exists in is it because of an imbalance in the microbiome in the mouth. If we change that environment, maybe we would change and balance out the microbiome. I have patients that I’ve seen for 20, 30 years and they didn’t use to have cavities. Then they reach a certain age and the enzymes and hormones in your body starts to age and they start going, what’s really going on here, so maybe we just need to put our focus on what are we trying to do when we use fluoride? Ideally, I think Fluoride is toxin that shouldn’t be used. And for those people that are wondering, they use toothpaste with fluoride in it. Are there alternatives to using that? Well for that, there’s toothpaste without fluoride. The mouth has about 600 identified my life forms in it that people don’t realize this. It’s bacteria, virus, fungus, a lot of different things in the mouth and disease occurs when these things are in balance. When the micro, it’s like a village and you got a community in the village, it gets hostile and starts hurting the other people, but what you need to do is look at what the problem is and then put it in balance so that the good bacteria control the balance of the bad bacteria. We’ve kind of gotten, we don’t think like that. Those mouth rinses, it will claim kills 99.9 percent of all bacteria. Was that what you really want? It’s kinda like if you had some thugs in a neighborhood, you just scorched, scorched the whole neighborhood, you know, napalmed the neighborhood. You definitely get rid of the thugs, but what have you got left? So it’s the balance of the microbiome that we have to look at and that that’s a big, big topic that’s hot right now, the science community and really what we’re going to get back to is in your field is really going to come back to what you eat. And, that’s one of the things that controls the different bacterial growth. I don’t want to kill 99.9 percent of bacteria my mouth because I need some of it. Some of it produces nitric oxide, for example, that we is, is beneficial. It’s not all bad. The micro other handling the microbiome is, is really the answer. And if you do that, I don’t have a need for fluoride. I want people to study. I’ll tell you, one of the places that they can go to a on the Internet, it would look up an international academy of oral medicine and toxicology. They’ve been instrumental in in their campaign to enlighten people about the use of mercury fillings and all use of fluoride. That would be a great source for people who really want to know more. That’s great. Okay, so let’s talk a little bit about heavy metal toxicity. Many people have amalgam fillings in their teeth and they don’t realize that it can be at the root of many of their health problems. Could you explain why these types of fillings are so bad and should we have them removed or should we leave them? That’s a very controversial subject, and in the community, amalgam fillings had been argued for and against since they were conceived long, long time ago, and a traditional dentistry probably shies away from it, but they don’t. They don’t. When they take the fillings out, they often will just take them out without precautions that they should take. The danger in a mercury filling, is it off gases. That means that there’s actually mercury gas coming off the filling. You cannot smell it, taste it, see it, it just is there. As long as there was a filling there, it’s going to be off gassing. Eighty percent of the mercury gas is assimilated and absorbed into the body through the respiratory system, then into the blood and it goes everywhere. The problem with mercury fillings is the molecular structure has an affinity for hydro groups in our organic compounds that are in enzymes and other bodily functions, so when a mercury filling as an attraction for that molecule that attaches to it and doesn’t let it go, then that renders that the function of that other molecule nail it can’t do its job. Therefore, wherever in the body, the mercury reaches and it reaches everywhere he goes in the brain to the toes, it causes an impairment. That’s arguable. People argue that it doesn’t. I think that the science is pretty clear from my point of view. I don’t make any claims that removing the mercury fillings will make you well if you were sick, but I would urge people to go to the website, international academy of oral medicine and toxicology, whose primary function in the beginning, in the 1980’s was to make people aware of what that mercury does them in our communities. We’ll see where, let’s say that mercury is you should that shouldn’t eat too much of the pelagic fish because the mercury accumulates in those fish. That’s the only three percent of the issues that we’ll see as far as our populations. By far the vast majority of the problem that people have with mercury was induced and put in from the fillings that were put into their mouth. Many dentists will say, that’s no problem. I’ve been doing it for years. Well, you know, there was an industry building making felt asked maybe a hundred years ago, and that was a big deal. They said, we’ve heard the phrase mad as a hatter and as insane as a hatter. The hatters were insane or had a lot of issues and mental illnesses, one of them because they handled liquid mercury. Okay. And then the process of making felt hats. Well, Dentists sit all day long and remove these amalgam fillings, generating heat from the bar onto the filling, and that causes more off-gassing and the more off-gassing there is, the more potential problem, the risk. And so it’s not just to the, what amazes me is a dentist that would take the risk or take the, it is no problem stance without knowing because it’s going to cause them problems too. And that those problems can range from a neuro disease. I see a lot of neuromuscular disease associated with it and studies to a brain function, heart disease, cancer, just about the whole gambit because you shut it down. All the enzymatic reactions in all the chemical reactions in the body that have all five groups. So I’ve taken a position, I didn’t have to decide back in 25 or 30 years ago whether or not I would use it because I saw at cracking the teeth and the mercury fillings will expand and contract when they expand, they cracked teeth when they contract, they leak. And so there’s almost always decay underneath. The mercury filling has been in place for more than six months. And that’s been my experience. And so we use other materials. Those materials have gotten better, but they’re not perfect either. We’re constantly looking for materials. I’m not only concerned about mercury, but I’m concerned about just metals, in the mouth for a number of different reasons in the time of this program will be able to go into all of them, but a dental bridges and crowns and partial dentures and implants contain metals and these items can, can contain aluminum, chromium, cobalt, copper, gallium goal, iridium, indium, iron, manganese, nickel, palladium, platinum, silver, titanium, vanadium, and more. And, some of them have cobalt chromium, molybdenum steel, and those elements have an additional aluminum, nickel, titanium and other things. And those things are more and more we’re finding are not healthy. I quit putting stainless steel crowns and patients long, long time ago because of the nickel content. Nickels been associated with breast cancer. Now these things will have two sides in are you start, you go on the Internet, you’re going to find statements all over the place. But I think in the future we won’t be using metals at all in the mouth. The metal affects the energy flow. There’s some dentist, some physicians, some healthcare providers have a faith and study meridians or energy flows between different body parts. We in dentistry, to do what I do, I look at sometimes they have a dental meridian for, for example. It’s pretty complicated. It’s not hard to understand. It’s just a lot of data. A front two teeth, eight, well seven, eight, nine and 10. That’s your lateral incisors. Central incisors, they can, they can effect. I’m just picking out a couple of the adrenal glands. They can affect your spine. They can affect your joints, kidney or bladder, your ovary, testicle, prostate and uterus, GI tract. So it’s pretty important that we not disturb those, those energetic fields that lot of people don’t believe in. But why would we take a chance that even if there’s a chance that that’s true. So these meridian points are like. Oh gosh, the acupuncture points in a body that’s sort of the same points in the body. Exactly. Right. Okay. So, you know, I don’t know that everything we learn is going to be the standard. I mean, we’ve, I’ve taken and done dentistry, air abrasion, dentistry, dentistry is removing decay without a drill and it’s minimally invasive. And I’ve used that and back 20 years ago, not ever. That never caught on. A lot of people do that, but you know, we, each of us have the freedom in our dental practice, acted as long as we stay within the confines and standard of care to learn new things. And I hope we always learn new things. These questions and people like yourself are the vanguard for the future. I mean, 10 years ago I put in my initial questionnaire for two patients, I put in a 10 or 12 questions and I just want to put it in because I want to know what they knew and how to talk to him so that we could get something that would work for them. And I asked, do you believe that your oral health affects your systemic health of your total body health? One person out of 10 would say yes. Today one out of 50 will say no. So that’s used in 10 years. People are becoming aware and they should. They should be responsible for themselves. It’s good to go to a person like me and get an opinion. But bottom line, you got to look at a lot of different things. When you’re picking your healthcare professional. You cannot commoditized healthcare, you know, it’s not the same thing as going down to the type three tire stores and getting the same tire at different prices. You got, you got to look at the experience. You got to look at the, education. You got to look at the agenda. What’s that person doing? Are they doing it because they really love what they’re doing and helping people? Are they doing it for a job or a paycheck? You got to look at how many of the procedures or what are they doing, have they done a and then you got to listen to your own heart. You know, I’m sure that there’s people that I’ve, I’ve seen that that didn’t care to come back to me and other people come back and they think we’re great and so it’s, it’s just got to think for yourself and ultimately be responsible for your own health. I have heard many people actually interview doctors or dentists before they came to go into them. And I thought that was a great idea. We never really kind of take that into consideration that we need to have the same, you know, thoughts about our health as, as the person. That’s that we want to try and help us. Yeah. My, 96 year old mother is still living about six years ago, maybe eight years ago, she called me up and she said, so I’m even going to go get a doctor. And I told her, I said, mom, you haven’t, you haven’t gone to the doctor since Ted was born. And that was 50 years ago as my brother. I said, so are you feeling sick or is there something that I should know about? She says, no, but I’m getting older now. And she says, there may be a time when I’m not able to pick the doctor I go to. So I’m picking him now. I said, well, how are you doing that? She says, well, I called them and I asked him if I could have time with them. I’ll pay them for their time, but I want to interview them. So I said, well, how’s that going over? She said, well some will do it. And others fail. And I said, what do you do about the ones that fail and she said, well, they just, they just screen themselves out. If they don’t want to do that, then I don’t want them from my doctor that. I felt that was kind of fun. I thought it was bold and I thought she’s right. And so I think it’s good to question, you know, with the respect, you know, cause you’re gonna get a whole vast field and you got to look at apples to apples and oranges to oranges. It’s spatially in dentistry at this point in time. I find myself, seems like I’m getting a lot of MD’s now coming to my practice is patients who are going into, they were traditionally trained but they’re coming here because they want someone who will be an integrative type person and look at both sides because everything we see isn’t clear and everything isn’t facts where you kinda gotta take each patient uniquely by themselves. And these questions that I’m trying to provoke and get an answer stand for other people are the factors that they should. I see more functional, low thyroid functioning than I’ve ever seen. I would venture to say I’m saying and in the age bracket between 45 and up, I’m seeing one out of 10 or 12 people don’t see it. I can just look at him and know that they’ve got a lower and an inappropriate level of thyroid function. Which means a whole lot about the things to their body and they need to understand that sometimes blood tests don’t diagnose thyroid disease, so we kind of tried to cover as much territory as we can. So you’ve got old school and then I don’t say new school because a lot of these things are not new. They’re just. They’ve been around a long time. They’re just getting attention now. Old School and other school. When we talk about healthcare, I think you should find physician or dentist that works in concert with a physician and a physician that works in concert with the dentist because you cannot separate oral health and total body systemic. You can do it. I mean you can say you do, but with the two overlap and if you’ve got disease in the mouth, you’re going to have some diseases. Then your body elsewhere, you’ve got disease somewhere else in your body. You’re going to have some problems keeping your mouth healthy too. And so a lot of these, these teeth that have mercury fillings in which we take the mercury fillings out, and I’m not saying that I’m not making any claims that this is a cure for anything because I can’t do that. I haven’t done the studies, but I’m just saying I have had experience where patients will have to change and then they’ll say, you know, I don’t, my stomach is better now, or oh, I feel healthier in some other realm. I just, I think I said that’s good. You know, I mean, because they’re all connected. Yeah. I think that’s what a lot of people miss, is that oral health is definitely connected to overall body health. What I’m beginning to think which is just one of those fields where you, you learn a little bit and then you don’t know nearly enough. And so you studied more. And I’m finding that nutrition is really the key to a lot of this. And my God, our nutrition in this country is deplorable. High Fructose Corn Syrup preservatives these, all these things have an adverse effect on the actual organs. In the body, like the liver and other things to stimulate people to be really hungry and eat more when they’re not, they don’t need it. And the third, the signals are there that they need to eat more. So that gets stored as fat. And I’m sure your listeners are aware of this. So you go on a diet and you just don’t eat. What are you depriving yourself of the things you do need and it’s a complicated thing, but we need to do it because we live in a different physical world and we live 20 years ago. Well, people, you know, I like a donut. I do. But I don’t make it my main thing. And in 1900 the average consumption of sugar was three pounds a year. I think 1900 and now it’s probably 100 or better. You know what I mean? At least not to the sugar substitutes. I’d rather see people that have sugar. Then the sugar substitutes tell you the truth. I think there’s less unknown complications. High Fructose Corn Syrup is, in my opinion, just my opinion, a terrible thing. But try to get rid of it. I mean, everything you look, you see that and the preservatives in the food, you know, and people say, well, where am I going to shop? I said, shop the perimeter, go around the edges, and if it sits in a box try to stay away from it. And those process foods definitely, we all need to stay away from those. Yeah. I, I think I see people getting sick or you know, how you look at the obituaries and if you see people you don’t have to be old to die. I see people that are thirties and, and even younger and you get like what happened here? And you see more and more of that. And yet you still see people that are, you know, older, like my, my mom is 96 and she’s still kicking. So, you see I had a friend that lived across the street from me. I said, how’s your mom? I went to her 100th birthday and he said, well, she’s 102 now, and, so what she done. I guess longevity in their genes. So we need her secret! And we need her secret. One of the things that I hear that I think people find interesting this is, the gold restorations. We used to think that they were, and I was a big proponent back in the day of doing restorations with gold if it didn’t show, but gold at most, if used in the mouth is only going to be about 74 percent gold and the rest is going to be other metals such as copper, gallium idiom, radium, palladium, nickel, silver, 10th attaining zinc, beryllium. No, I don’t remember as I’m reading those off of a list here of course of it, but the point is there’s other things in there that what’s, what’s it do to your body and basically I’m not sure we know. I would say rather than trying to sort out what you can’t use focus on what you can, why not? If there’s any question about metals, why not see if there’s an alternative that doesn’t have any metals. I’ve pretty much gone from, from high noble porcelain fused to metal crowns and such. And when I need grounds, I tried Zirconia, which seems to be in, it’s Zirconia has a metal and elemental chart, but the crowns lab work, it’s made out of zirconium oxide so it’s not the same thing, but it’s very strong and it does not upset from what I can find. I’ve found no reference that it interferes with the Meridians on the body. So that’s another. Plus, I just try to stay away from metals. Dr Adams for our listeners that are listening to this today and they’re thinking, well, I want to try and do something to improve my oral health. Would you recommend maybe see oil pulling or probiotics for the mouth? Well, I would tell them to try to learn as much as they can. What we’ll do that oil, coconut oil pulling, it’s good, but you know, I was thinking about the other day. Someone says, what makes it good? I’m going, well, you know, if you sat for 20 minutes and pumped hydraulics with your cheeks and your tongue and your lips, water back and forth, you’d probably do a lot of cleaning that you wouldn’t get otherwise. So, but I don’t hear people doing that, but the coconut, that’s very good. It does have a, organic function. Oil pulling is good. I would. I would tell them that I get asked a lot, what should I use for toothpaste? I said, I don’t care if you use a toothpaste and they will. I’ve got to have a toothpaste to make my mouth. I said, no, you know, you need them, you need to brush your teeth, you need to floss, you need to use a little picks or whatever to get the debris out of the little spaces. But if I were to tell you to use anything I tell you to use some baking soda, which is basic acid base, it’s on the side, and just neutralize the acid that comes from the pathogens in the microbiome of your mouth because of the bad guys can’t stand acidic and basic environment. They create and thrive in an acidic environment. So I would tell people, try to create with your cleaning by using baking soda a little bit neutral Ph environment and go ahead and go back to the diet. There’s a couple things that I just thought of that probably would be an interesting to your listeners. I’ve wondered for a long time why a patient would go along and have no, no cavities, and then all of a sudden started getting cavities. So I’ll ask them, are you started? Did you have a mouth rinse or a candy or mint? Or are you starting to use those? And sometimes that’s the reason, though this they say, no, I’ll wonder, well, what’s changed? I learned this is hard for me to accept this, but I’m finding it to be true that there’s an actual flow from the outside through the teeth to the inside or there’s a flow from the inside to the outside and that flow seems to be affected by the consumption of K2. So they need to look at the, the vitamins. So you get vitamin A in your diet pretty easily. You don’t want to take too much because then you can get toxic, you know, a vitamin D3 you need and vitamin A and vitamin D form two enzymes, probably others, but at least two. One is called osteocalcin and the other one is called GMP. I don’t remember what the GMP stands for, but there are two. One is, is involved in the absorption of calcium in your diet and the other one is involved in the distribution. Now the thing that vitamin A and vitamin D3, it’s my understanding allow those enzymes before, but they have to be activated. So what activates in vitamin K2? Where do you get K2, you get it from meat, eggs, poultry. Now what’s happened in the American diet is that it became more economical for them to fatten up, say a cow up for slaughter for, for the market, if they gave them a growth hormone and, and, and fed them in the pen instead of out on there is more economical not to have them free range or what were they getting on free range. They were getting chlorophyll from what? The eight from the plants. And it seems to me that that’s a precursor for the K2. So, and I don’t think humans can form K to the way the animals can. Not sure about that. So like you were saying, it goes back to diet and so you look at all the increase in in 1940, I’ve read that there were 500 cardiologist for certified cardiologist in America and I bet you there’s 35,000 now. So we’ve had a high incidence of cardiovascular disease is the number one killer, we labeled it that way. So what else happened in, that’s when they started changing the way we get our nutrients and that’s when they start taking cows from the field to the pen. And so I’ve read that when you use K 2 and D3 in sufficient quantities that it will not let the calcium be distributed in the vessels of the intimate of cardiac vessels. No, that’s an interesting concept. And, again, it goes back to nutrition. So how much K2 and D3 you need. I don’t know. I’ve also read that that you can actually reverse arteriosclerosis by starting to use those, those nutrients or eat differently. I think that’s fascinating because here we’re coming right back to the more natural. So if you can line up the increase in disease specific disease entity with a specific cultural change, you might have a one or two go back and do what you did before, which is truly grass fed beef or free range chickens. If you look at eggs from the market, you want to just have Katie that the more intensity and color you know from a pale yellow to an orange, the more color that’s there, the more K2, it will have that. Okay. Well Dr Adams, we’re running out of time here. Is there anything else that we haven’t covered that you would like our listeners to know? So we definitely know that we need to look back to where our diet and that our oral health definitely affects our overall health. Do you have any last tip to give our listeners at all today? To stay engaged and understand that today’s truth is tomorrow’s lie. Just to understand that you got to be responsible for your own health because there’s too many authorities that mean well, but they, they just don’t have the right data and so you need to go to healthcare providers who listened to you and we’ll take the time. You got to understand that you should be going for what’s of interest to you and your family and not somebody else’s agenda and you’ve got to understand that in our current system, money drives the whole healthcare system and it may not be well based. I mean we may have a great healthcare system, but it’s not efficient and not to get mad, don’t get mad, mad doesn’t help anything, just find people that you feel comfortable with that we’ll take the time to listen to what you need and one and then see if there’s something that can deliver it. That’s it. Great Advice. Thank you so much. And Dr Adams, thank you for joining us here today and help get the word in about how crucial it is about oral health, how it connects to your overall health. Well, oral health is very important and nutrition is key to that. Perfect. And if our listeners want to know more about the services that you offer or to book an appointment, they can visit your website at healthybodydental.com. Thank you very much. Sarah. 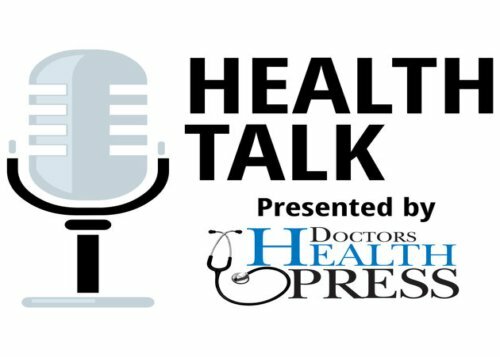 If you’ve enjoyed this podcast and want to learn about many other natural health topics, head on over to our website at doctors’ health, press.com, and sign up for our daily bulletin. You see, we report on the latest health news that can really affect your life and you can depend on Doctors Health Press for unbiased information based on strict research credentials, and we send this out, this information for free every day. As I said, you can sign up for the letter for free on our website at doctorshealthpress.com. We do also have one of our Doctors Health Press publications available right now at a discounted rate. You see our publications or monthly newsletters that will keep you informed about the latest in natural healthcare. Although the daily bulletins are great for quick health updates, our newsletters are really the place to go. If you want detailed research and health studies that could really transform your life, so if you’re sick of feeling sick or if you want to try some alternative treatments, this is really the place to start. So just visit doctorshealthpress.com/podcastdeal to see this special offer that’s doctorshealthpress.com/podcastdeal all one word to learn more about the offer and if you’ve enjoyed this episode and want to hear more, be sure to give us a star rating so this will help us ensure that we’re kind of keeping on track with the health topics that you want to know about. Until next time, I’m Sarah Cownley reminding you that it’s never too early or too late to work towards being the healthiest version of yourself. The information contained herein is for information purposes only and is not to be construed as a diagnosis, treatment, preventive, or cure for any disease disorder or abnormal physical state. Nor should it be considered a substitute for medical care from your doctor on any matter relating to your health or wellbeing and prior to undertaking any health related activity consultant. Appropriate health professional. The opinions here in are exactly that. They are the opinions of our guests. Doctors Health Press employees are not responsible for medically unsupervised activities that could be harmful to your health. Results are not guaranteed and may vary from person to person.